PVC is a synthetic plastic commonly used to finish metal parts, tools and structural components. It is available in a range of different colors and thicknesses, is highly chemically stable, flexible, easy to sterilize and resistant to high temperatures. PVC dip coating is an alternative to other, more expensive types of metal finishing, one that offers a number of benefits in addition to convenience and cost. PVC dip-coated parts can be found in manufacturing plants and other industrial facilities. As part of our commitment to turnkey service, Marco Specialty Steel provides PVC dip coating for these and other applications. Marco Specialty Steel offers complete PVC coating services from our Houston, TX, headquarters. We ensure all work is done to the highest standards of quality control and expedite large orders to meet your project timelines. 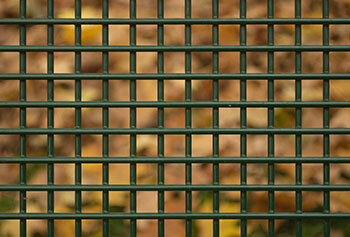 Corrosion protection: PVC dip coating forms a natural barrier against oxidation. In some cases, it is a cost-effective alternative to using stainless steel or another, more expensive, material. Insulation: PVC is an effective insulator. Metal parts that are coated in PVC are more resistant to stress caused by extreme temperatures and temperature fluctuations. Safety: PVC-coated parts have a number of occupational health benefits. A PVC covering dampens loud noises during collisions and reduces the risk of cuts and scratches during handling. Convenience: PVC dip coating makes parts easier to handle and more comfortable to work with, which leads to improved productivity. The specific benefits of PVC dip coating will vary according to your application. To learn more, get in touch with a Marco representative directly. 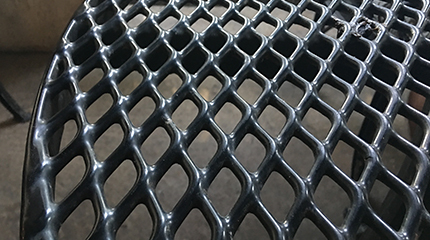 PVC and powder coating are both popular secondary finishes for our custom steel products, and both offer a number of advantages depending on the application. Powder coating uses an electrostatic application process and cures under heat to form a strong bond to a metal part. Powder coating is faster and, in some cases, is more cost-effective. However, PVC dip coating allows for thicker finishes, which makes it a more versatile choice. As a value added service, Marco Specialty Steel fabricates dip-coated wire cloth and expanded metal and a number of other products. PVC dip coating is a good choice for any item with an unusual shape or size, as it will deliver overall protection against corrosion. It’s also a good choice when heat insulation and electrical shielding is required. We will work with you to determine the best type of PVC for your application. To get started, use the form on this page to contact a representative directly. We’ll review your requirements and get back to you with more information about how our fabrication and PVC dip coating services can help, as well as a detailed quote. For more information about either process, or assistance determining which is best for your application, contact us directly.